Norway's trillion-dollar sovereign wealth fund, the world's biggest, will sell its stakes in oil and gas explorers and producers but still invest in energy firms that have refineries and other downstream activities, according to a government plan. The proposal announced on Friday said the fund's stakes in integrated companies, such as Royal Dutch Shell, ExxonMobil and other majors involved in everything from exploration to selling fuel at the roadside, would not be sold. The state, which has built its wealth on the back of North Sea oil and gas reserves, also has no plan to sell its direct stake in Norwegian energy firm Equinor or its direct holdings in Norwegian oil and gas fields. "The government is proposing to exclude companies classified as exploration and production companies within the energy sector from the (fund) to reduce the aggregate oil price risk in the Norwegian economy," the Finance Ministry said in a statement. Energy stocks represented 5.9 percent of the fund's equity investments at the end of 2018, worth about $37 billion, fund data showed. But much of that amount is invested in integrated firms rather than smaller, dedicated explorers and producers. The fund's shares in the 134 firms to be excluded have a value of about $8 billion, the ministry said. The fund said the shift would affect 1.2 percent of its equity holdings. 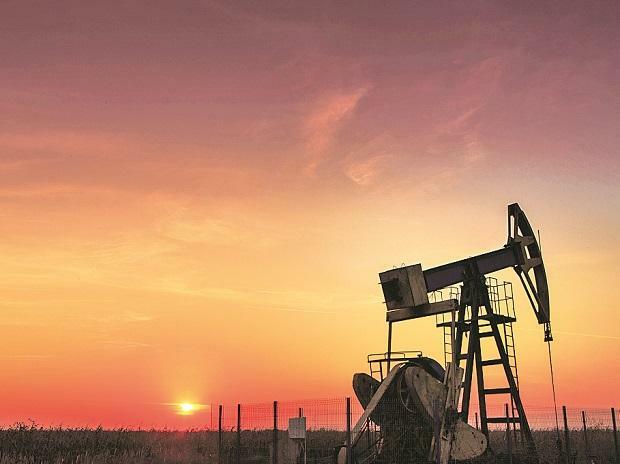 "Exploration and production companies will be phased out from the fund gradually over time," the government proposal said, without giving a timeline for the divestment. Among the firms affected are Cairn Energy, in which the fund held 1.92 percent worth $22 million at the end of 2018, Tullow Oil, in which it held 2.1 percent worth $67 million, and Premier Oil, with 1.8 percent worth $12 million. Those stocks would be replaced by investments in other sectors, broadly weighted in proportion under the fund's current mandate, the central bank's deputy governor said in 2017, when the bank made its initial proposal. The bank manages the fund. At the end of 2018, the fund's equity investments were split between the financial sector (23.7 percent), industrial companies (12.9 percent), technology (12.6 percent), consumer goods (11.9 percent), healthcare (11.4 percent), consumer services (10.8 percent), oil and gas (5.9 percent), basic materials (5.0 percent), telecoms (3.0 percent) and utilities (2.8 percent). The Finance Ministry said the list, based on the FTSE Russell classification, was not final. For instance, Cheniere, which does not produce oil or gas, but operates gas liquefaction facilities, was featured on the list. "It will take time to divest from those companies and in the end it could be a different list," a ministry spokeswoman said. Parliament, which still needs to approve the proposal, is expected to back the plan as the ruling centre-right coalition has a majority in the assembly. The news added to pressure on energy companies, whose shares have already slipped due to declining oil prices. The proposal aims to make Norway's wealth less vulnerable to a permanent drop in the price of crude, now the fund has increased its exposure to equities to 70 percent of its value from 60 percent. The central bank originally suggested excluding all oil and gas companies, including integrated firms. But the government adjusted the proposal, saying major firms had the scale to shift to renewable energy. "To exclude all oil companies would limit the fund's opportunities," Finance Minister Siv Jensen said. The decision to keep stakes in integrated firms drew criticism from those who want Norway to shift more decisively away from fossil fuel investments. Sony Kapoor, managing director of the think tank Redefine, said diluting the central bank's plan "represents a victory of Big Oil lobbying over financial prudence and common sense". Greenpeace campaigner Martin Norman said the government's decision "does not address Norway's exposure to oil and we are not showing the world the way forward". The opposition Labour Party said it would back the government, even though it argued for a tougher strategy. "It's not enough, but we should do this now and then we might see (what to do) in the future," said Svein Roald Hansen, Labour's finance spokesman, adding that the state was right to keep its stakes in Equinor and oilfields. The fund invests Norway's revenues from oil and gas production for future generations in stocks, bonds and real estate abroad. Its investments in integrated firms at the end of 2018 included stakes of 2.45 percent in Shell, 2.31 percent in BP, 2.02 percent in Total, 0.99 percent in Chevron and 0.94 percent in ExxonMobil.